Universal pre-spotter for Wet Cleaning WET PREMOVER pre-spotter is most effective when sprayed. Apply to the dirtiest parts of the garments before Wet Cleaning. 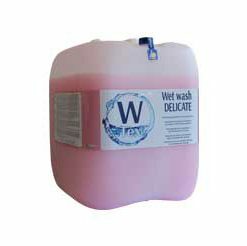 Effective on a wide spectrum of stains including coffee, grass, ice cream, sauces, lipstick, biro, natural oils, food oils and grease, candle wax etc. WET PREMOVER penetrates textile fibres deep down, dissolving even the most stubborn dirt and facilitating its removal. It is ideal for pretreating jackets, trousers, down and padded wear – highly effective on cuffs and collars.